Head of the Qatar 2022 World Cup Hassan al-Thawadi has rejected calls for the tournament to be awarded to another country. FIFA is expected to move the tournament to winter to avoid Qatar’s high summer temperatures. And Football Association chairman Greg Dyke said the tournament might have to move location if a suitable time to play in Qatar could not be agreed. But Hassan al-Thawadi insists there is “no reason” why Qatar should not host the event as planned in 2022. “We’ve worked very, very hard to ensure we’re within the rules of the bidding, within the rules of the hosting agreement,” he said. FIFA president Sepp Blatter is determined to switch the 2022 World Cup to the winter as summer temperatures can reach 50C in the Middle Eastern country. Sepp Blatter, 77, has admitted the governing body may have made a “mistake” in awarding the tournament to Qatar in the summer. “[Qatar] is the right place, the Middle East is the right place,” said Hassan al-Thawadi, who is Secretary General of the Qatar 2022 Organizing Committee. The Premier League has taken an opposing stance, with chief executive Richard Scudamore insisting the tournament should go ahead in the summer. 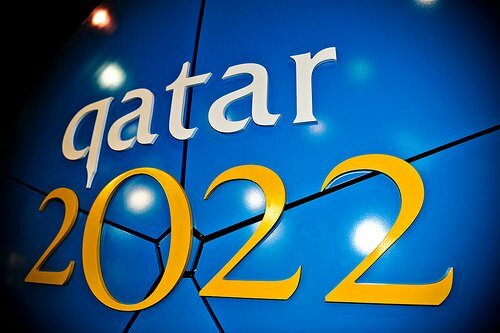 However, Europe’s leading clubs have said they are “open” to the possibility of a winter World Cup in Qatar in 2022. Karl-Heinz Rummenigge, chairman of the European Club Association (ECA) believes it is “probably” better to switch the finals to winter.